Flux is quickly becoming the standard architecture for building large-scale applications. 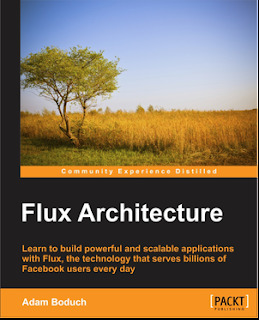 It's the topic of my latest book, Flux Architecture, available on Amazon. When a first started learning Flux, about a year ago, I was confused. I was so used to using frameworks that prescribe the exact way that something should be implemented. It took me a while to realize that Flux is just a set of principles — there is no framework. Well, that's not entirely true, there's plenty of Flux libraries out there now. What I really like is that they're all variations on the same Flux principles. Facebook made the call to release Flux as a set of documentation, a reference implementation for a dispatcher component, and a handful of examples. The rest is up to us to figure out, because we all have our own implementation idiosyncrasies.